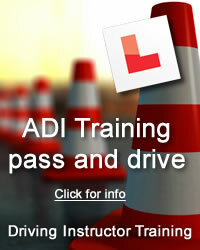 If you’re looking for driving lessons in or around the Bellshill area then look no further. Top Gear driving school is the one for you. We cover Bellshill and the surrounding towns nearby. Uddingston, Bothwell, Holytown etc. Our instructors are patient, friendly, highly qualified and committed to giving you the very best value for money in driving lessons. We will also try our upmost to work around any busy work schedules or family commitments that you may have. If you’re not sure if we cover your area please feel free to give us a call. Originally based in the West End of Glasgow Top Gear has steadily grown by offering high quality driving lessons tailored to suit your own level of experience ability and learning pace, from hand picked driving instructors. Having now expanded into Bellshill and the surrounding areas we are able to provide you with the same enjoyable, cost effective lessons that hundreds of our other customers have had over the years. Top Gear covers a wide area so don’t hesitate if you don’t see your area, we will try and accommodate everyone. So if you’re looking to pass your driving test or would like to take some refresher lessons call now !! !